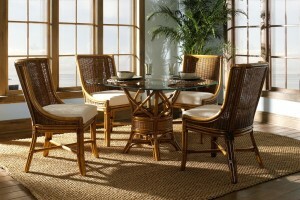 Classic Rattan has been manufacturing quality rattan dining sets using the finest materials for decades. 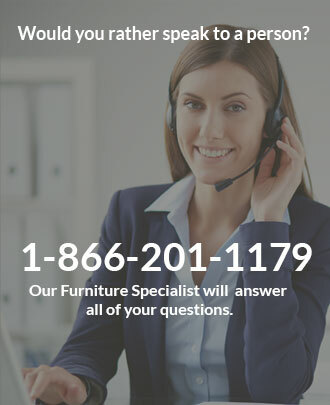 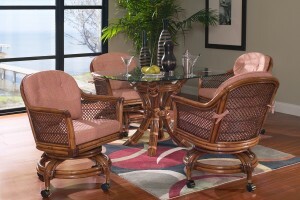 Comfortable swivel tilt rocker chairs with seat and back pillow cushions and rattan or wicker frames are grouped with dining tables in various shapes and sizes with laminate or glass tops. 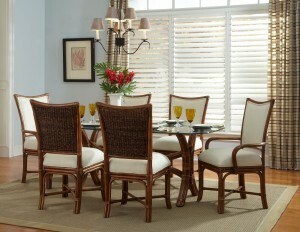 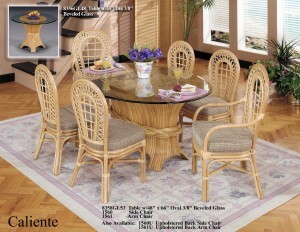 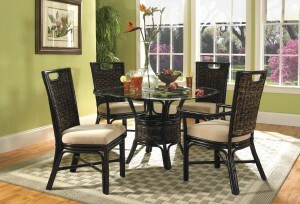 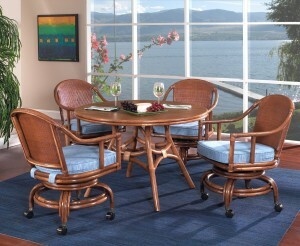 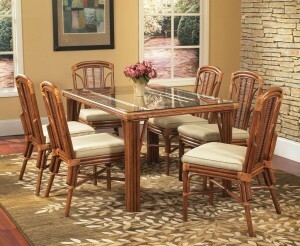 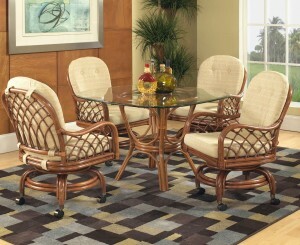 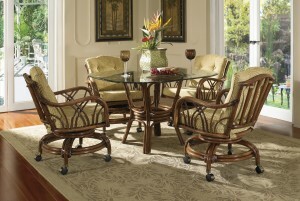 Classic Rattan dining sets are available in 5 piece or 7 piece sets. 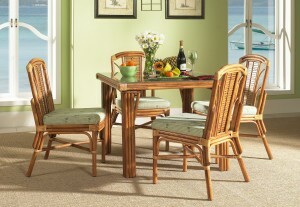 Select from a variety of custom rattan fabrics and wood finishes to create the perfect custom wicker dining set for your kitchen or dining room.